I’ve had a great time as the featured blogger on the Hero Blog this week — so fun! AND, I got caught up on making some cards for friends at the same time! This one is for Sally — her birthday was yesterday, but I didn’t find out in time to make her a card so it’s going to be a little late, doh! Here’s something funny — I was sitting there thinking “I wish I had some kinda faded and worn flowers to go with this color combo” — and then I grabbed a watercolor pencil and colored on a white flower — ta dah, problem solved! You DO have to wait for the flowers to dry before you stick them on tho — otherwise they will keep falling off — ha ha ha! And, have you seen the new Porcelain line from Basic Grey? Major SWOON!!!! Love the colors — this card was inspired by them. SO YUMMY. Can’t wait to use it! I also made this card for Nancy — going to make a few more to have them on hand while I have my supplies out. I did a happy dance when I spotted that American Crafts ribbon a few weeks ago — goes perfectly! One last thing — there’s a giveaway going on over at the Hero Blog that you just don’t want to miss — click here to enter. It’s for Dave Brethauer’s book, “Card Design: Rubber Stamping with Colored Pencils” — it’s full of great tips for using watercolor pencils + colored pencils — and card ideas. Hope you have a great weekend! Now I’m off to clean up my stamp area — it’s a mess of truly epic proportions, ha ha ha! Love your cards Today! The Doll is not one I would normally pick…but you made it look so CUTE!!! That Owl is Priceless and definitely one I need to add to my Collection! Hi Lisa- I definitely love what you did making the doll another card- I’m gonna have to try that!!! Thanks for the great ideas & inspiration! Thanks again for the AWESOME week over at the HA blog!! Loved all of the watercoloring techniques! Super duper adorable cards! You always come up with awesome ideas, have you ever run out of ideas?! Thank you for the awesome week at the Hero Arts blog!! I really enjoy it! You did a super job all week at the Hero blog!!! I’m all set to try out watercolors. I’ve never played with that before but you explained it so well. And you are such an enabler, I now want to get that new owl and that dstressed background stamp. Is your scrap space clean yet? I make my 5 yr old do it. :) She loves to though, because she always swipes something. lol Anyway – GREAT week on the HA blog – I totally enjoyed it. what a great set of cards. and it is neat how the last one opens up like that. very cool. I'm so glad you're here! I'm Lisa Spangler, prairie girl living in the big city of Austin, TX. In case you were wondering, sideoats is the state grass of Texas and to me it's just as beautiful as any flower. Hope you'll stay awhile and visit often. More about me. 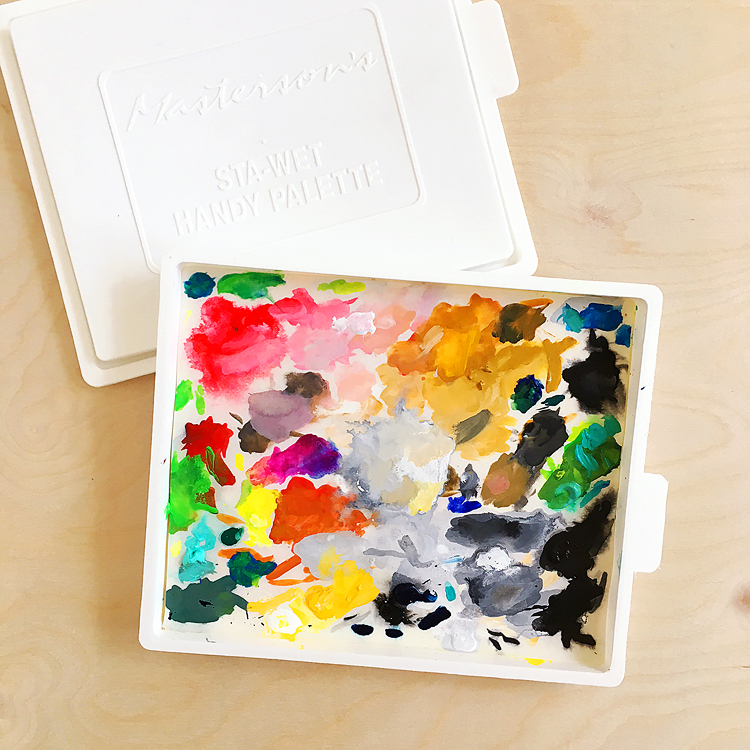 I wrote up a list of my watercolor gear for you here — this covers paints, paper, sketchbooks, brushes, books and more! Don't miss a post: subscribe to my blog by filling in your email in the box below and you'll receive all new posts right in your inbox. 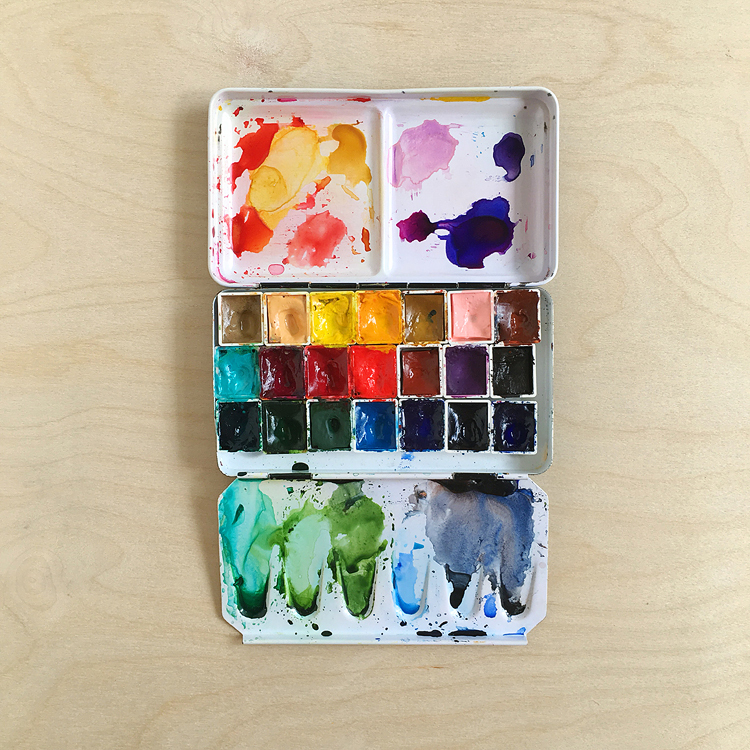 Find my gouache gear guide here! Have you always wanted to try mixed media but weren’t sure where to start? Well then, I have just the class for you over at Big Picture. THIS is the class I wish I could have taken when I started on my mixed media journey. Come join me.